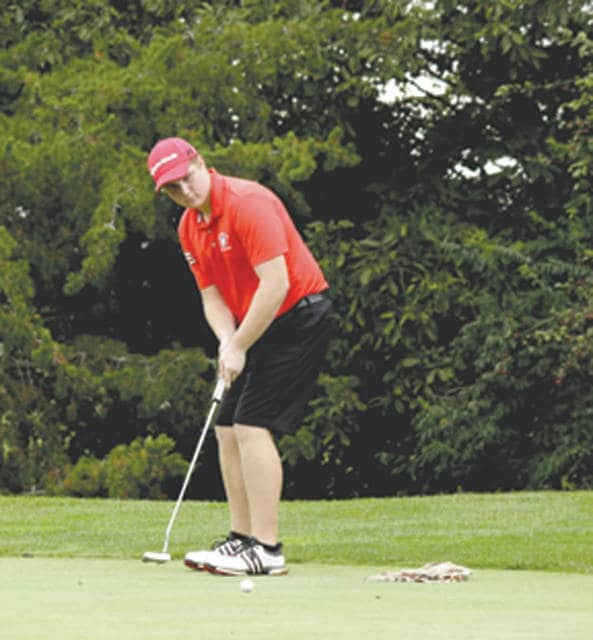 Cedarville junior Adam Wood follows his putt, during Wednesday’s Sept. 13 Ohio Heritage Conference boys high school golf match against Greenon. Cedarville and the Indians won the match to up its record to 8-7 overall, 8-6 OHC, which puts them in a second-place tie with South Charleston Southeastern in the OHC South. Greenon (9-7, 6-5 OHC) is now third in the division.